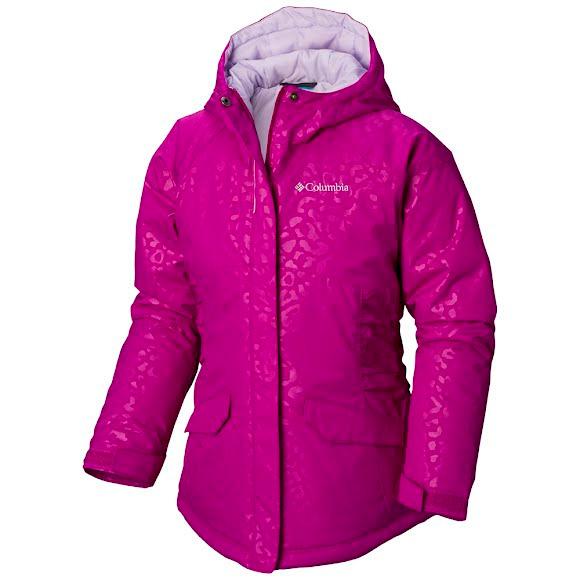 Packed with synthetic insulation and waterproof on the outside, this Columbia winter Girl's Youth Razzmadazzle™ Jacket is a must-have for her winter play. This jacket features a storm hood, zip-up pockets (including a media pocket), and reflective details for low light. Our Outgrown™ system makes it easy for this jacket to adjust to her growth spurts to extend the life of the jacket. Packed with synthetic insulation and waterproof on the outside, this Columbia winter Girl&apos;s Youth Razzmadazzle™ Jacket is a must-have for her winter play. This jacket features a storm hood, zip-up pockets (including a media pocket), and reflective details for low light. Our Outgrown™ system makes it easy for this jacket to adjust to her growth spurts to extend the life of the jacket.